The Italian Diner is on the pedestrian crossing around the halfway mark of the annual Bangalow Billycart Derby descent when, one Sunday in May, hundreds of speed racers hurl themselves down the main street in their homemade contraptions competing for the coveted title. (this year it’s on Sunday 20 May 2018). But on quieter nights when the tourists have gone home to the hills and the beaches, The Italian Diner is a pleasant spot to sit and listen to the birds as you watch the sunset colours against the heritage facades and palm trees with a contemplative negroni in hand to peruse the menu. As the name suggests, The Italian Diner serves an Italian offering seven days a week for dinner and lunch. It’s a venue where couples, groups and families can be accommodated inside or out or on the sheltered footpath all year round. 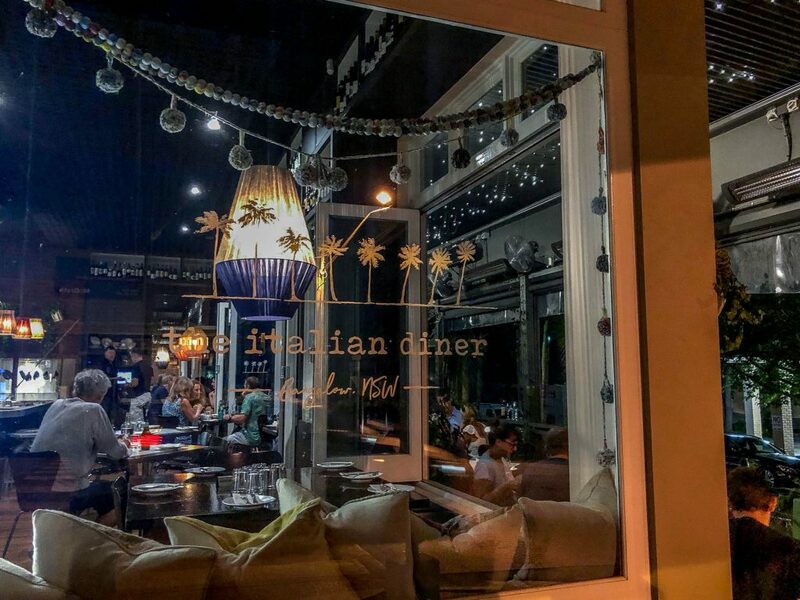 The dinner menu at The Italian Diner starts with Antipsati such as Arancini and Mushroom Ragu Gnudi, followed by a selection of Pasta (Gluten Free available). The pastas include a classic Lasagne made with Bangalow Pork and Woodfired Pumpkin Fettucine with confit garlic, feta and macadamia nuts. 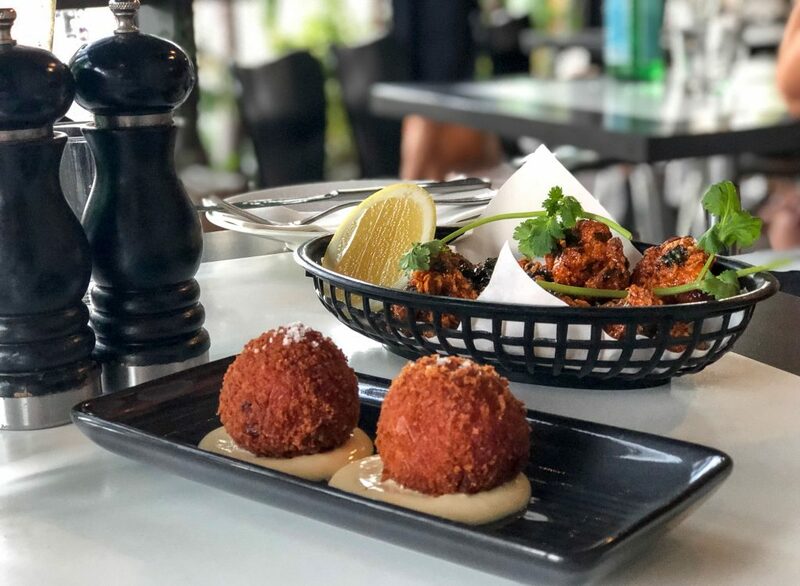 Our Arancini had a perfectly crunchy outer and a simple tomato risotto centre, which was somewhat lacking, served on a slightly spicy mayo dipping sauce. I really like a nice surprise of ragu or gooey cheese inside my arancini! The Sicilian fried chicken was also crispy and finger licking, served with a fermented chilli and garlic sauce. If that sounds too funky for you, don’t be afraid, the flavour was reminiscent of a sweet chilli sauce. It wouldn’t be an Italian diner or trattoria without Pizza served with simple toppings like The Italian Diiner’s Mixed mushroom on a garlic base or Prosciutto with caramelised onion and rocket. Then there are Secondi – larger main meals with options like the Fish of the day, Braised Dorper lamb and the classic Chicken cacciatore. 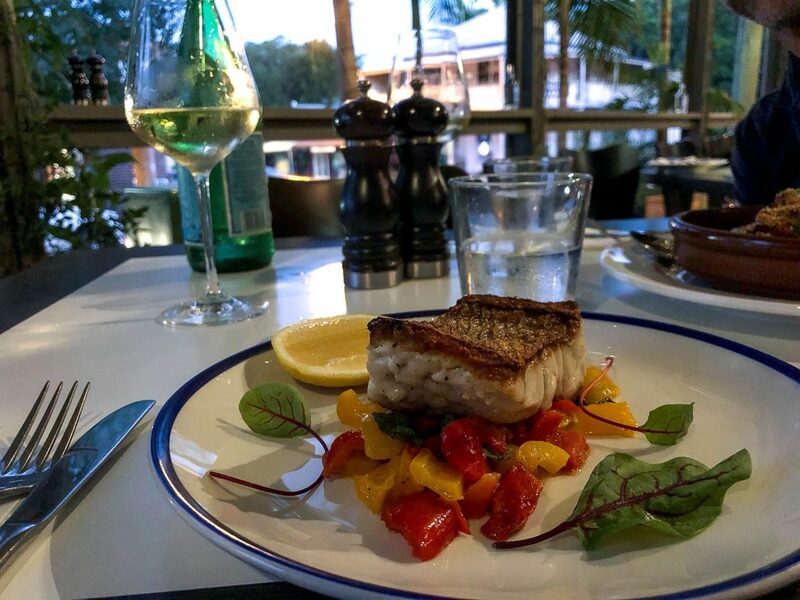 For the fish expect something like crispy skinned snapper served with a simple bed of pan fried capsicum and garlic. The Dorper lamb was a thin stew of lamb pieces on the bone cooked in a tomato and capsicum sauce with a macadamia parmesan crumb. Perhaps we should have ordered some bread or potatoes to soak up the remnant sauce. Sides are simple which works well to match most dishes with options like a fresh mixed tomato salad, roast potatoes and rocket and parmesan salad. It’s great to see a variety of local products on the menu including bread from Sunday Sustainable Bakery, Brunswick Heads Oysters, Bangalow Pork and Salumi Australia. The Lunch menu at The Italian Diner is the same as dinner version minus the Secondi options. Keep an eye out for dining specials at The Italian Diner as well. The current lunch special includes a main course for $22, two courses for $28 and three courses for $34 which is good value. If you have room for dessert there are classics like Tiramisu and the trio of Cannoli featuring chocolate ganache, pistachio cream and lemon ricotta. Yes please! 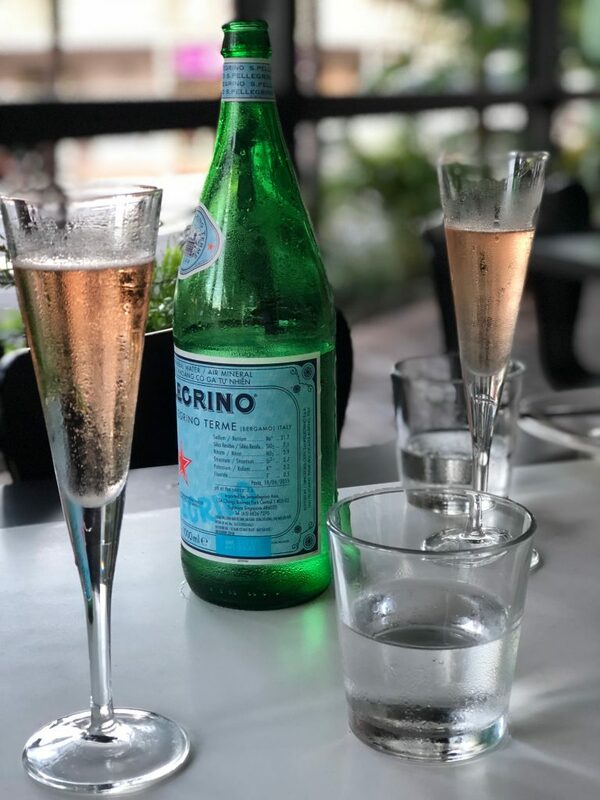 The Italian Diner is licensed and has a good selection of Italian and Australian wines (many by the glass) as well as beers, aperitivo and cocktails. 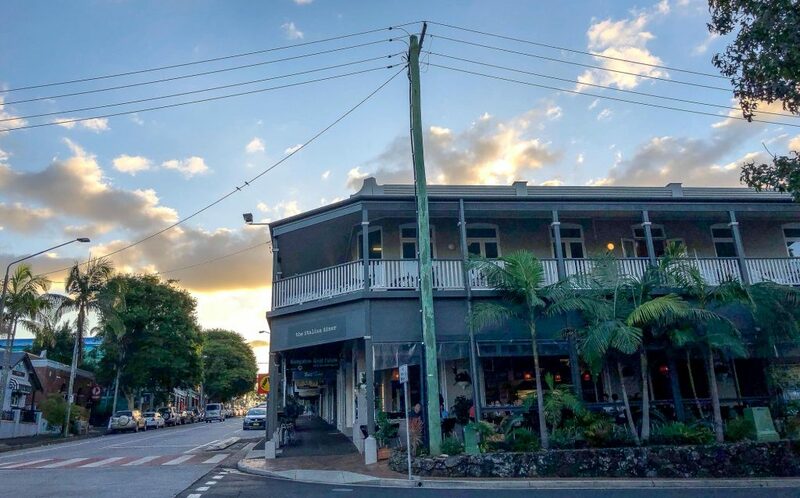 Try a Negroni or Spritz at sunset as you peruse the menu and enjoy the serene side of Bangalow.